Special Containment Procedures: SCP-316 needs no special containment, other than to prevent misuse by unauthorized personnel. Those operating SCP-316 should wear highly reflective full-body wear to prevent accidental exposure. Personnel privy to sensitive information should be kept out of visual range of SCP-316, due to its ability to induce a suggestive state. 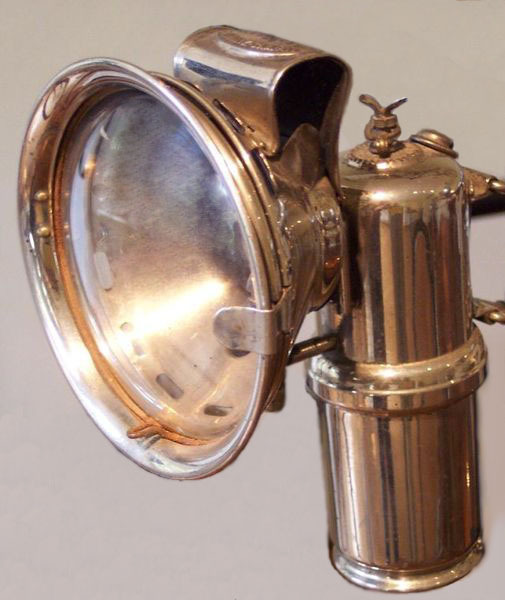 Description: SCP-316 is a bronze, aged carbide lamp. The casing corresponds to no manufactured models and appears to be homemade. The bulb is ordinary, and can be replaced without impeding the function of SCP-316. Internal circuitry of SCP-316 is constructed of an unknown metal, rather than copper. The casing has a battery compartment which takes two D batteries. SCP-316 does not function unless two D batteries are in the battery compartment with their positive ends facing each other. When switched on, SCP-316's bulb emits a nearly opaque beam of white light. Non-reflective objects and materials in contact with this light have their molecular structure rearranged into patterns which homogenize reflected photons, distributing their wavelengths equally throughout the visual spectrum. Effectively, over approximately 6 cumulative seconds of exposure, affected surfaces lose all color, retaining shades of gray of the same luminosity as the original surface. Reflective surfaces remain unaffected, but appear to stop SCP-316's light rather than reflecting it. After recovering from the effects of SCP-316, most subjects report symptoms of nausea and depression for up to one week. Almost all subjects, once recovered, volunteer their displeasure at having been exposed to SCP-316, and may violently resist further exposure. Cross-experimentation between SCP-316 and uncooperative living SCPs for the purposes of pacification has been approved. SCP-316 was recovered from the residence of a color-blind man arrested for counterfeiting in ████, Texas. The man had reportedly attempted to pay for items at a convenience store with colorless bills. A Secret Service investigator noted the apparent quality and validity of the bills, as well as the ink's chemical equivalency with federal ink, and the Foundation investigated. The subject's house was mostly colorless, as it seemed he had been using SCP-316 to navigate at night. Neighbors reported the subject to have been "withdrawn" and "depressingly dull". Subject was terminated and his property destroyed.